Manufacturer of a wide range of products which include ss friction stay, iron friction stay and brass friction stay. With our rich industry experience and knowledge, we are engaged in offering SS Friction Stay. 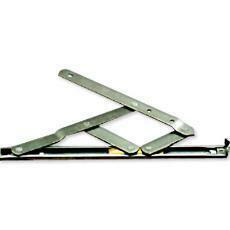 The offered products are suitable for top and side hung window. These products are manufactured at vendors end by utilizing finest quality stainless steel and leading technology. Our honored patrons can avail the offered products from us in customized options at their budget. 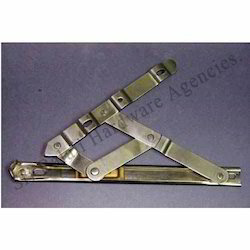 Owing to our proficiency in this domain, we are engaged in offering Iron Window Fittings. 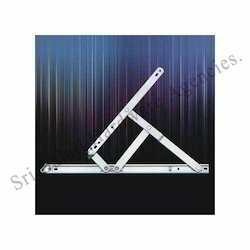 The offered window fitting is precisely manufactured by optimum grade iron & easily hung on different style of windows. Additionally, to remove flaws our quality controllers check this window fitting on quality parameters. We offer this window fitting in various specifications. We are the leading supplier of Brass Fittings Stay in chennai.